Success is not free at all, with tremendous hard work and efforts, one can achieve it. 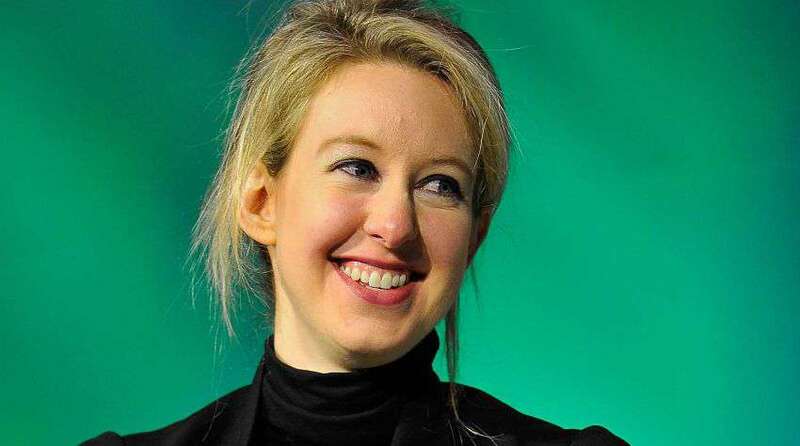 “The minute you have a back-up plan, you’ve admitted you’re not going to succeed”, believer, Elizabeth Holmes, an entrepreneur and medical genius, is the best example of this. Elizabeth is one of those people, who have dedicated their success to some social cause and to the betterment of the society. At the age of 31, Elizabeth has joined the list of Warren Buffett, Steve Jobs, Mark Zuckerberg and others. Elizabeth is the world’s youngest self-made female billionaire. A genius from childhood, Elizabeth learnt Mandarin language during her high schooling. Not just that, but she started selling C compilers to some Chinese Universities. While studying, chemical engineering at Stanford, she filed her first patent during her studies. Her uncle’s death from cancer moved her to develop a way to detect diseases beforehand at an early stage. She travelled to Singapore then and started working on SARS Virus. But, she dropped out just after her sophomore year and started working on the achievement of her dream to establish personalized medicine. After being dropped out of Stanford University, where she had studied microfluidics and nanotechnology, she became Founder and CEO of Theranos, a company transforming lab diagnostics, in 2003, where she developed, cheaper, easier-to-use blood tests. With only a virtually painless prick of the finger and a few drops of blood, her labs can quickly run a multitude of tests. Elizabeth started Theranos a decade ago only at the age of 19. She envisions empowered patients who can take control of their health through real-time diagnosis and monitoring, with testing that has open and transparent pricing schemes. At Theranos, among her board of advisors there are a former senator, general, and secretary of state. But as it is said earlier, success only follows hard work and determination. To be on top of the success was not easy for Elizabeth too. She had a fear of needles for long, so she has to win over her fear, and now as it is proved by her, she actually turned it into her reason to achieve success. But, Elizabeth is an entrepreneur with a difference. Where, an entrepreneur cannot wait to get into the limelight and spread their idea into the news to attract more buyers and investors, she, on the contrary, worked in the opposite direction. For the development of a technology for blood-tests and diagnosis, she gave her 11 years. Her only target was, the use of a single drop for the purpose, taken through an effortless finger prick. Elizabeth has discovered a unique way that had a potential to shake the whole industry. Until, Forbes listed her in their list ‘40 under 40’, she remained an unknown personality virtually. There is one more reason for this secrecy is that, she wanted to create a completely fresh market, before allowing her competitors to catch up. Elizabeth gave up all the fun of this selfie age, breaking the internet, following YouTube stars, instead she focused on her business for a social cause. This makes this young entrepreneur, the best of all.